Film tells the story of a Russian spy to performing a task in London. The main character has to solve complex problems related to the very essence of the work of a spy: bribery, blackmail and even murder. Based on the events on the last day of World War One. Holocaust films are easily made exploitive, because, in the words of the late and great Roger Ebert,, "we do not need movies to convince us of the evil of ... the Holocaust," but rather, it is a subject better served in "films ... about the ways good men try to work realistically within an evil system to spare a few of its victims." To merely recount the violence that human beings are capable of perpetuating against each other makes for transgressive reflection rather than a useful one, because it denies us hope. Sobibor passes Ebert's test: From the first scene to the last, the horrors of the Holocaust are contrasted against the humanity of its victims and the courage that they ultimately find to rise up and fight back. 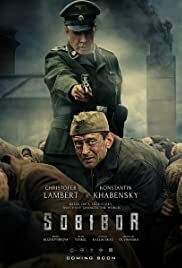 It helps that the Sobibor camp is more cinematically satisfying, as it represents one of the only successful uprisings in concentration camps - 400 prisoners successfully escaped, led by Russian soldier Alexander Pechersky, and the third act breakout generates genuine tension as the heroes slowly begin to implement a plan that begins with individual acts of violence and ends with a convincing revolution. It is one of the great prison-breaks in the movies, made all the more jaw-dropping when the closing scroll reminds us that it is all true. In contract, Inglorious Basterds (a great film) had to create a fantasy ending that was as emotionally satisfying as the history featured in Sobibor. The scenes leading up to the escape depict the daily lives of both soldiers and prisoners within the camp, in both its banalities and horrors, and there are some truly gory and disturbing moments here, but they never feel unnecessary because of the way that lead actor/director Konstaintin Khabenskiy depicts these events through the eyes of the prisoners who, slowly but surely, refuse to be victims any longer. Khabenskiy makes for a dogged and convincing hero, but it is Christopher Lambert's depiction of Karl Frenzel, the Nazi administrator of the camp, that really elevates the film's tension-Lambert plays the part as a man barely holding onto his sanity, having internalized the suffering that he constantly orders and witnesses. It is the most chilling portrait of an unhinged Nazi official since Ralpph Fiennes in Schindler's List. Less successful is Khabenskiy's decision to suggest a romantic connection between Pechersky and a female prisoner that he knew before the war, mainly because I struggled to believe an opportunity for such a romance convincing in this setting; nevertheless, this relationship is well-acted and leads to one of the best character exchanges in the film. Sobibor is the Russian submission for the 91st Academy Award for best foreign language film. The film was shot in Lithuania, in six languages: Russian, Polish, German, Dutch, Yiddish, and English. This helps give the film the epic scope of a truly international production, and that is exactly what it feels like. This is one of the best films centered on the theme of the Holocaust that I have ever seen-well-acted, handsomely stages, filled with sobering imagery, and ultimately, a satisfying resolution that makes an often difficult journey worth taking. 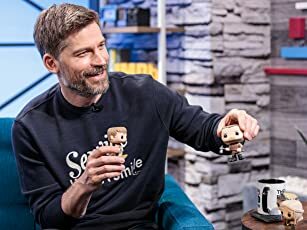 What begins as a tragedy ends as a victory; the film's success, and whether or not we accept the set-up of the first two acts, hinges on the execution of the escape. Khabenskiy absolutely delivers. I would be very happy to see this film appear on the list of nominees.